Should a community task force be convened? What roles do various stakeholders play in ensuring the safety of students? Have current safety plans and policies been analyzed? When is the last time a school safety assessment or audit was conducted? What resources exist to help us set and reach goals that help ensure student safety? As I discuss this important issue across our state, I always describe how school and student safety encompasses prevention, preparedness, crisis response, student well-being, responsibility, and the need for ongoing and coordinated dialogue. As we have these critical conversations I’ll note that in some instances current state statute is out of sync with best practice. I was pleased to see the Joint Education Committee sponsor legislation earlier this week that begins the work of setting a stronger state framework for school safety. I look forward to continuing to work with legislators on the bill with the understanding that every aspect of school safety must be carefully weighed at the local level. 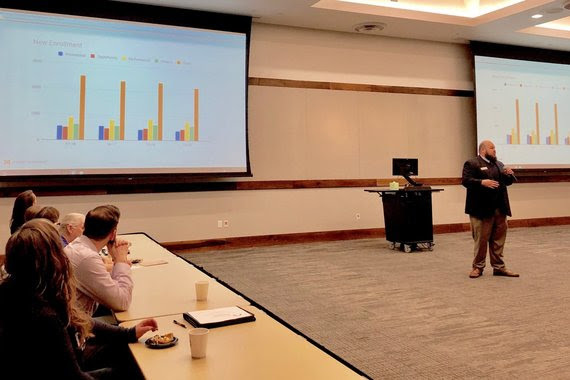 WDE teammate Bradley Barker makes a presentation about the Hathaway Scholarship Program to Leadership Cheyenne Wednesday. 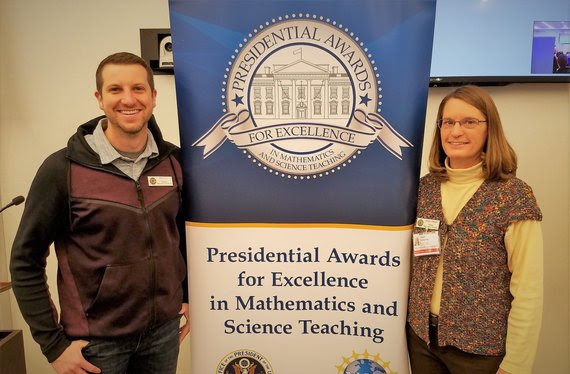 WDE teammates Brian Cole and Sharla Dowding traveled to Washington, DC, recently to share strategies in promoting excellence in STEM education in Wyoming.